Our adventures in good food and healthy living. 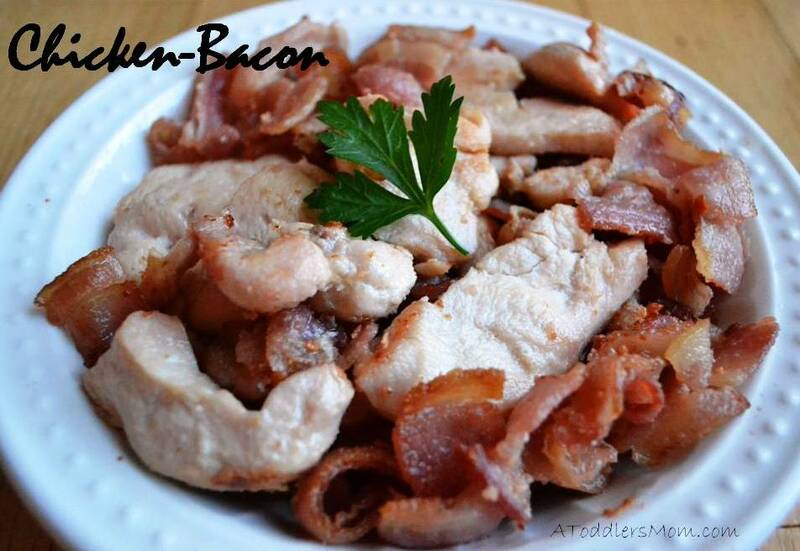 For a quick, easy, and delicious meal, this chicken and bacon combination is always a favourite. Although it is made with only two simple ingredients, this recipe is packed with protein and flavour. Whenever we travel, we always make sure to take our dish of chicken-bacon with us. Whether it is for a picnic, a potluck, or a long road trip, this basic blend of two wonderful meats is an awesome real-food addition to any meal or outing that is popular with both kids and adults. We also use this mixture for a fancy breakfast, a quick lunch, or a light dinner. After slicing raw chicken and bacon thinly, fry them together in a frying pan over medium heat until meat is thoroughly cooked. Serve hot or cold. Mike would luv luv luv this!!!! Mmmmmm. Visit AToddler'sMom's profile on Pinterest.